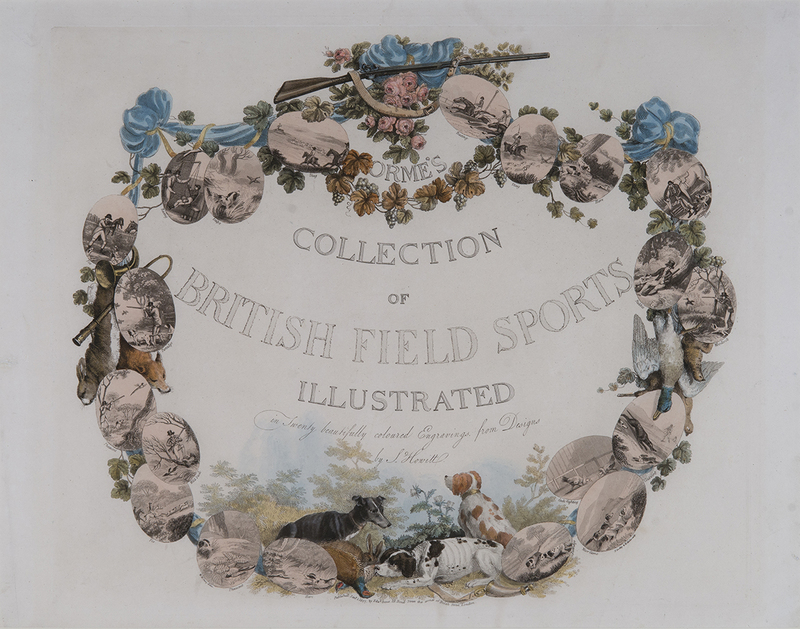 A complete set of Orme’s Collection of British Field Sports: Illustrated in Twenty Beautifully Coloured Engravings from Designs by S. Howitt was recently donated by George and Susan Matelich and Family. 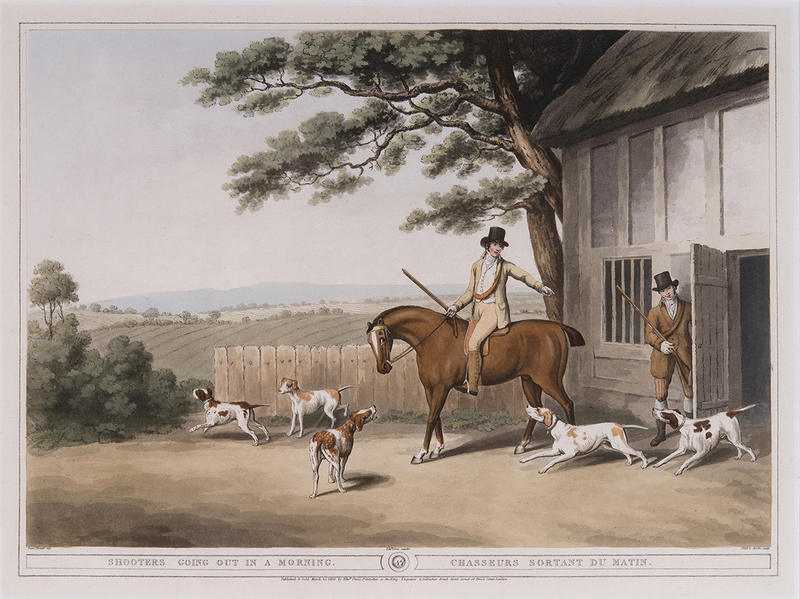 The series of 22 prints was published by Edward Orme of London between 1807 and 1808 and features scenes of hunting, shooting, and racing. Samuel Howitt (English, 1765-1822) was an artist known for his images of hunting, animals, and equestrian scenes. He collaborated with five different engravers on this series. The prints were not published in numerical order, resulting in some discrepancies in numbering (Plate No. 8 is numbered with Roman numerals, and Plate No. 18 is un-numbered). The technique of aquatinting, so named because the resulting prints have the look of watercolor and ink, was popular among English printmakers of the late 18th and 19th century. This set includes some of Howitt's best works and was a prized collection piece among early 19th-century collectors. Now on view in the Museum through July.